Honduras is bordered by Guatemala to the west, El Salvador to the southwest, Nicaragua to the southeast, the Pacific Ocean to the south (Gulf of Fonseca), and by the Gulf of Honduras -a large inlet of the Caribbean Sea- to the north. The country spreads over 110,000 sq. km with an estimated population of nearly 7,500,000 inhabitants. The capital-city is Tegucigalpa. Honduras is a vibrant country with endless turquoise waters, virgin beaches, lush rain forests, majestic mountains, fast-flowing rivers, and fascinating ancient ruins. Most of its environment remains unspoiled. Ecotourism, affordable snorkeling and diving, rafting, and mountain trekking are the main activities that have recently made Honduras popular. Today, Honduras popularity is increasing among the 'rich and famous', who have discovered a place where they can still travel without being recognized. Honduras is home to people of diverse origins, from the Mayan Indians who bequeathed the archeological site of Copán (considered one of the most artistically advanced and sophisticated Mayan cities existing today) to the Garifuna communities (known as Black Caribbeans in Europe), who currently inhabit the Roatán Island and the coastal cities. Virgin and with no artificial ingredients, this is “Her Majesty” Honduras. From the spectacular sunsets in Roatán to the misty green mountains at Pico Bonito, Honduras is a vibrant country full of wonders, adventure, and breathtaking beauty. 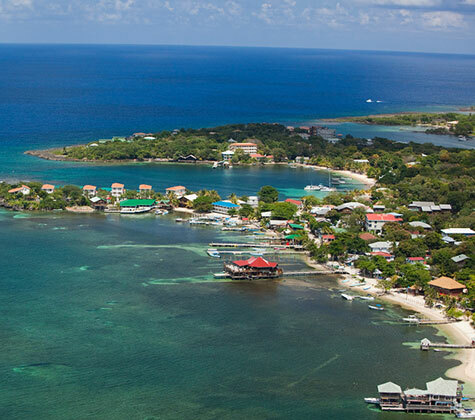 Come to Honduras and find your dream property in this paradise on earth. We offer a broad range of options for sale or rent, from perfect condominiums and holiday resorts with beautiful mountain/ sea views, to land or estates to retire to, as well as homes or residential developments in top private residential communities.